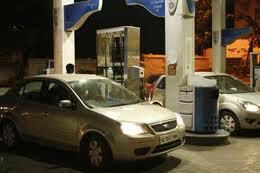 Trivandrum, 16 October 2012: The petrol pumps in the state will function only from 7 am to 7 pm from today onwards. This has been announced as a part of the nation-wide protest by the Confederation of Indian Petroleum Dealers. The new timings has been announced to make a cut in the operating costs as the pump owners are not receiving ample commission even after the increase in the price of fuel. The organisers said the decision will be re-examined if the commission is increased.